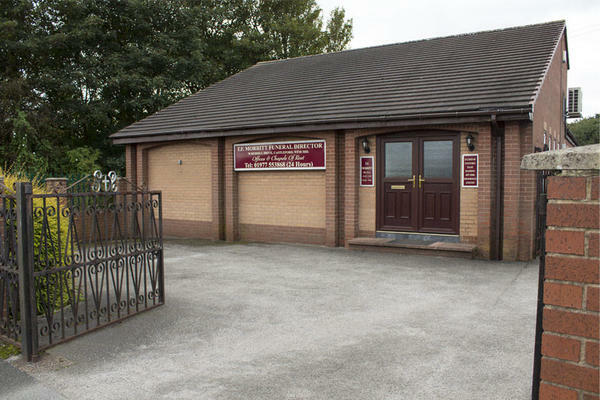 At T F Morritt Funeral Directors in Castleford, we are dedicated to providing your loved one with a meaningful celebration of life. Our funeral professionals have extensive experience conducting dignified farewells, and we want to use this knowledge to help you. Whether you would like a religious, non-religious or alternative ceremony for your loved one, we will be able to help arrange it for you. We are able to help you plan all kinds of funeral services, including woodland burials and colourful services. We understand that losing a loved one can be difficult, which is why we are here to offer our our full support, advice and guidance. Whenever you need us, we will never be more than a phone call away. Call us today on 01977 553868 to talk through your personal requirements. At T F Morritt Funeral Directors, we understand how special life is with those that you love. For us, every funeral is unique and personal. We have a service to fulfil every wish, with every detail carried out with the same uncompromising quality of care. From a traditional service, to a colourful woodland burial, your options are limitless with our Full Service Funeral. If you have a little more flexibility when it comes to arrangements, then we can provide a Simple Funeral for a lower cost. Our staff are available 24 hours a day on 01977 553868 if you require our services outside of these hours. Thank you for your online review. I am pleased that you were so well looked after by our team and that we were able to help make things easier for you at such a difficult time. We were very pleased with the way that my mothers funeral was handled. The funeral plan that mother had made was done exactly as she wanted. Kevin was so helpful and caring from start to finish,nothing was too much trouble. Comments from everyone were that it was a lovely funeral. The service that our family received from Kevin and his team was second to none. The compassion, care and attentiveness we received was fantastic and I could not recommend them enough. Thank you so much in what was a very difficult time. I would advise anyone to use T F Morritt Funeral Directors you will not be disappointed. Thank you for the kind comments posted on your online review. I am pleased that the arrangements for your Father were carried out to your satisfaction and that our team were able to provide you with the support and guidance needed. The outstanding service we received from Kevin and his wife and staff was amazing they went more than the extra mile to make the celebration of my husbands life something truly to remember and all the extra special touches will stay on our hearts forever. I would recommend them to anyone. The dignity and respect shown was truly something else. Thank you for everything. Thank you for taking the time to share your thoughts with us. I am pleased that you were so well looked after by our team and that the arrangements for your Husband were carried out to your satisfaction. I would just like to thank all the staff at Morritt Funeral Directors, from the day my husband passed away on the 6th December 2018 until the actual funeral day on the 3rd January 2019, they were always on hand and kept me in touch of all the arrangements. Even after my husbands funeral, there were a couple of phone calls to check that I was OK, many thanks again for making the saddest time in my life a lot easier. Thank you for the kind comments posted on your online review. I am pleased that the arrangements for your Husband were carried out to your satisfaction and that our team were able to help make things easier for you at such a difficult time. Thank you for everyone that made it possible to send me mum off in the best way possible. Very friendly and helpful people who made the whole thing go very smoothly. The officiant they provided was excellent, a lot of people who were at mums funeral remarked on her. Thank you for posting your online review. I am pleased that you were so well looked after by our team and that all of your wishes and requirements were carried out as you had requested.